A year ago, I packed up my flat in Singapore and said goodbye to some wonderful friends. With some savings in the bank and a personal agreement to take six months off full time work, I stashed my life into eight esky-sized boxes, sent them back to the safety of my parents’ house back in Australia and prepared two suitcases for an adventure into the unknown. I wasn’t looking for God. I wasn’t soul searching, or looking for more meaning in my life. This wasn’t an Eat Pray journey. I simply made a decision to flip the switch and take time off from my nine to five existence. I wanted to experience life as a sequence of events, not routines. I wanted things to be new and different. I was tired of sitting at a desk pushing paper around and staring at a screen. I wanted a life of purpose and meaning. My first stop was Ubud, Bali where I spent the first week panicking that I didn’t have a life purpose or a way to make money. During this first month long stay I learned the importance and luxury of letting go. Over the past twelve months I’ve had an unbelievable time living between Bali, Singapore and Perth, and visiting California, London and Dubai. One year went by in the blink of an eye, yet what I remember most is watching the clock tick slowly and fearing my days would disappear into apathy and laziness. Mixed in amongst the more magical moments of travel and adventure were anxiety riddled hours. My seemingly misspent time reflected in questions from others; now’s the time you should be building a career, why aren’t you working for so long? Aren’t you afraid you’ll have a gap on your resume and be unemployable? One year on, and my life is not any more full of purpose, or meaning than in the beginning. To be honest, not much has changed except I still haven’t committed to a full-time job, and I have much less money in the bank. What I have gained over the past year is knowledge; I’ve learned more about who I am and what I want, and what I don’t want in my life. If I could summarize my experience and share these insights with others considering a sabbatical, these are the nine things I learned from taking a year off. One of hardest parts of taking a year off was deciding whether to stay or walk away from my job. I loved working at LASALLE College of the Arts and had experienced architectural awe and gratitude every time I walked on campus in the first few years of living in Singapore. After five years my job no longer resonated with me; I couldn’t gain anything more from it. I had learned what I needed and it was time to move forwards. Life is about growth and opportunity. Things change, people change, you change, and not always for the better. It was hard to turn my back and just walk away from everything I’d built. Part of me felt like a quitter, like I was abandoning my colleagues and students in pursuit of something less concrete. To stay meant being stuck; leaving offered both freedom and a chance to find new ways to apply the things I’d learned. 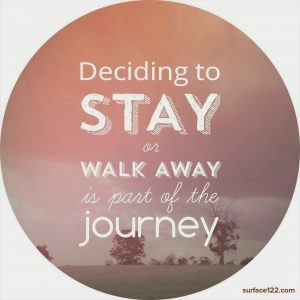 I chose to walk away. I chose to keep growing and learning. 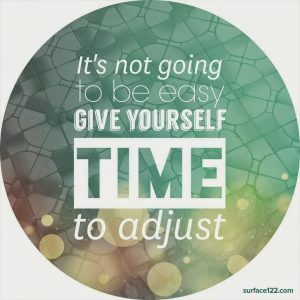 It takes time to adjust to changing circumstances, and I fought most of the way. It took about six months to learn to let go and enjoy the experience, trust that there would be as many ends as there were new beginnings. There would be days where I’d let go and dance like a leaf on the wind, and days where I’d stop breathing and hold tight, willing back stability and comfort. Taking a year off is as scary as it is liberating, and I found it hard to break my patterns and habits. I met many people who wished they could take some time out but either they didn’t have the resources or courage. I had to frequently remind myself how lucky I was to take a year off and answer to no one but myself. In these moments I was reminded to be more kind to myself and take time to just experience, feel and be. It sounds cliched, but meditation, yoga, massages and taking long walks helped me calm down and live in the moment. I had to remind myself that I’d chosen this adventure, and that there would be both good and bad days, same as before. I had time to do things I’d wished I’d had time for when I was working; creative pursuits like drawing, writing and reading. Towards the middle of my year off my Gran began her final fray with cancer. I came home numerous times, and over Christmas spent six weeks in my hometown as she started at-home palliative care. This is one of the most memorable times in my year off; I was lucky enough to spend some beautiful moments with her, and my family before she passed away. Simple rituals, things I’d previously taken for granted; such as eating dinner at my parent’s house, playing scrabble with my Gran, hugging my boyfriend and chatting with my friends over coffee became significant interactions that I cherished deeply. Traveling solo and spending time alone didn’t make me feel lonely, but there were moments when I longed to be included in the everyday world, the mundane, and the routine. Everything that I’d purposely tried to break away from. I kept coming back home, to Australia, to Singapore, to be with the people I loved, and people who loved me. Although I deeply cherished spending time hanging out with me, I also became more conscious of what an incredibly social person I am. 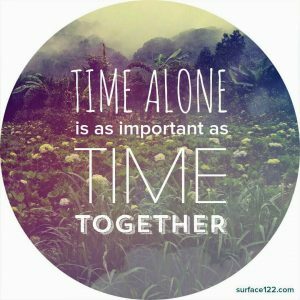 I came to understand that spending time alone was as essential as spending time with others. We spend a lot of time with others; we live together, work together, eat and sleep together. When we’re not spending time face to face, we communicate via social media, or on the phone. I read an amazing article about the extinction of deep thinking, and began to see that it was in moments of solitude ideas flowed more freely. I was more creative, more thoughtful and grounded when I spent time unplugged and alone. By the same token I was more happy, energetic and witty when I spent time with people who understood and interacted with me. I’ve spent entire days lying by the pool doing nothing; not listening to music, or even reading. Just lying, sitting and staring. Sometimes dozing in and out of sleep. Stephanie Dowrick says spending time alone determines the quality of our relationships with others and ourselves. Her book Intimacy and Solitude is a brilliant read for anyone embarking on, or thinking about taking some timeout. You can choose who to spend your time with and what to spend your energy on. 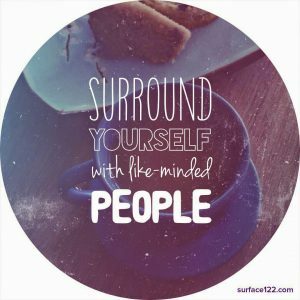 Taking a year off, especially if you’re traveling, allows you to choose who you want to surround yourself with. Often we hold onto friendships that do nothing for us, or find new friends that are no different to the ones we are finished with and have left behind. I spent a lot of energy during my time off making sure I was maintaining friendships that were no longer beneficial to me. It’s only recently that I’ve decided to find more like-minded people to spend time with. At the new moon in February, I promised to let go of toxic relationships, and cut free from people who were stopping me from moving forward, spending time and energy on friends who inspired and excited me. I learnt that there are only a handful of people who get me and love me as I am. I started looking to them for advice and help, and gave back when I could. 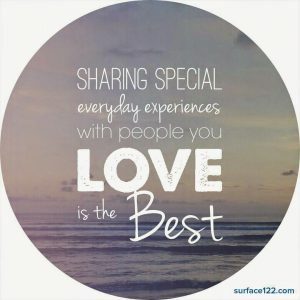 I can count my most valuable friendships on my fingers, and I’m warmed knowing there are at least ten people I can count on for meaningful conversation, acts of kindness and infinite thoughtfulness. They say you are what you eat, but I think you are whom you surround yourself with. Money isn’t everything and you can live quite cheaply if you don’t need alcohol, new clothes or steak to have a good time. 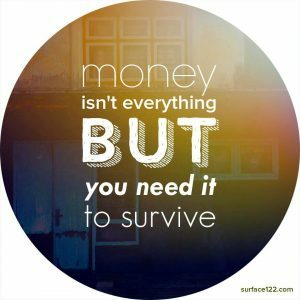 I spent a year leading up to my sabbatical saving money to get me through the first six months without having to worry about work. I was super lucky to pick up casual jobs to help extend these savings to a year. Even though I had saved money and decided to spend it on this experience, watching the bank account drop each week was incredibly stressful. I would not encourage anyone to take a year off without having adequate savings – with a few more dollars in the bank for emergencies. And don’t even think about taking a year off on credit. Just don’t go there. I know people that have sold houses, or businesses to take a sabbatical and I’m not sure I could do it. People have different attitudes towards money; and how easy it is to bring it back in. Money still frightens and confuses me. I needed a certain amount of cash saved and a budget for how I was going to spend it before leaving my job. But that’s me and everyone’s different. I spent six months deciding whether to stay or go, and then another three months creating a plan of what to do with my time off. Taking time off tests your flexibility and strength. Nothing is concrete. Goals and dreams change because we change. And that’s okay. It was important for me to remain flexible so that as things changed, I was able to adapt and move on. I read a lot of positive psychology and ‘new age’ books. Don’t judge me. I’m intent on learning and growing, remember? There’s one book that’s stuck with me – Gahl Sasson’s A Wish Can Change your Life. He talks about planting ideas like seeds, and periodically reviewing these intentions to make room for change. In the beginning my plan was to move to Bali. I never did. But I did spend lots of time on the island without being locked into a yearly rental agreement, which meant I had the flexibility to visit other countries on a whim, and head back to Australia when my Gran was unwell. Having a plan and writing down your goals helps you to stay motivated and inspired. 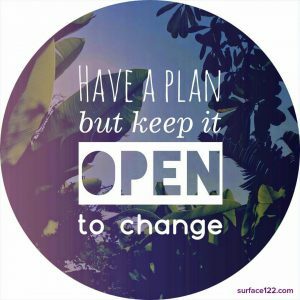 Equally important is remaining open and flexible so you can accept opportunities if they arise. It’s your decision to stay on the path you set, or follow another. As soon as I decided to take time off, I was offered a job. It was so tempting to accept the money, the surety, the stability. But I wanted to take time off to finish some studies and then enjoy some timeout. After a few months I decided to accept a casual job which in retrospect wasn’t such a great idea as I wasn’t ready and wasn’t passionate about the work. 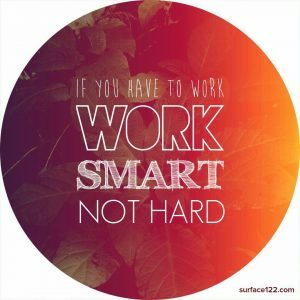 My mantra is to work smart, not hard. Taking a gap year at twenty is different from taking a sabbatical at thirty, or a mini-retirement at forty. I have skills. I have work experience. So I bundled those up and after my initial six months off, created a service based business to teach surface and textile design in a new way, to a new audience. I got to choose my hours and decide which days to work late and which days to take off. I got to work in different countries thanks to skype and email. I adjusted time to work for me, not the other way round. If during a sabbatical you want to try out a business idea, or pick up casual hours – then why not? If the work fits with your core values, or ensures you get plenty of downtime, then go for it. Did I mention how fast this year went? Because I was a little obsessed with when and how the year would end I struggled to live in the moment. It took practice to let go of not knowing and trust that everything would be okay in the end. 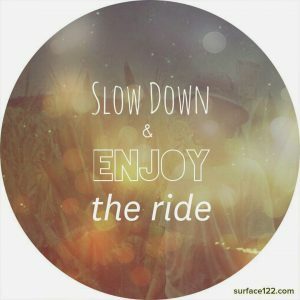 The year took many twists and turns that I wasn’t prepared for, but by being flexible and slowing down I was able to enjoy everyday for what it offered. Some days were amazing, and some days were incredibly boring and frustrating. There were two deaths in the year that shook me deeply. Death reminded me that nothing is forever. When the people I loved passed away I faced an existential crisis in grief. I laid low for a couple of months and struggled to track down moments of happiness. I kept thinking how meaningless everything seemed. But then after some time I was more comfortable with the concept that nothing is forever, and I felt encouraged by their absence to live my dream, be authentic, and to practice living with my heart wide open.